When using the MailChimp Add-on registrants are added to your List as they register onto the event. 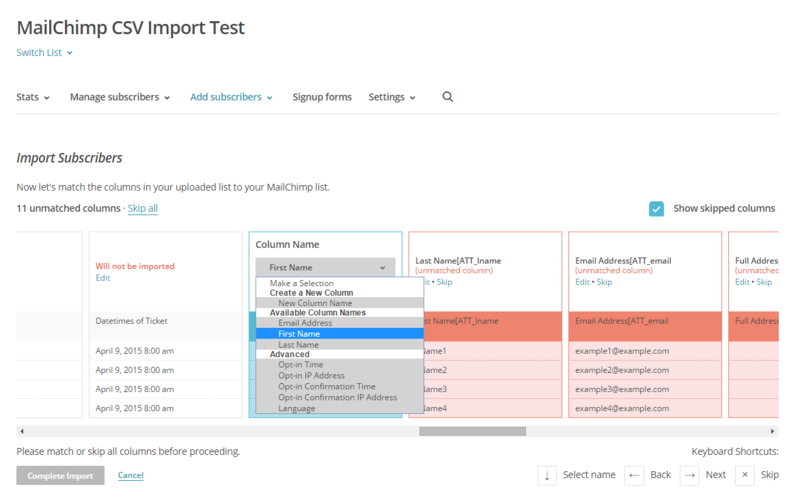 Sometimes you may want to import the registration data to MailChimp, for example if users have registered onto your event before the add-on was installed/activated on your site, those registrations will not be added to your lists as we do not batch import previous registrations, you can do this manually using the following steps. 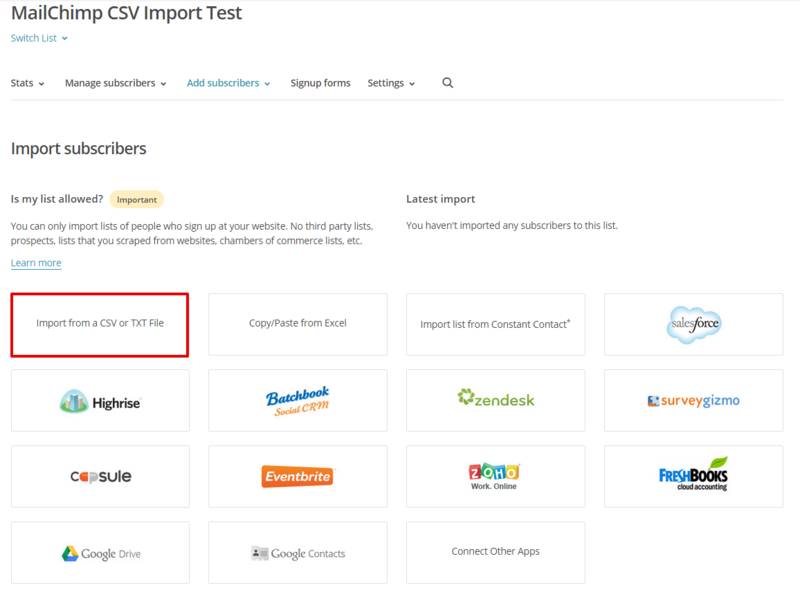 Now you have all of your registration information we can import the info into your List. 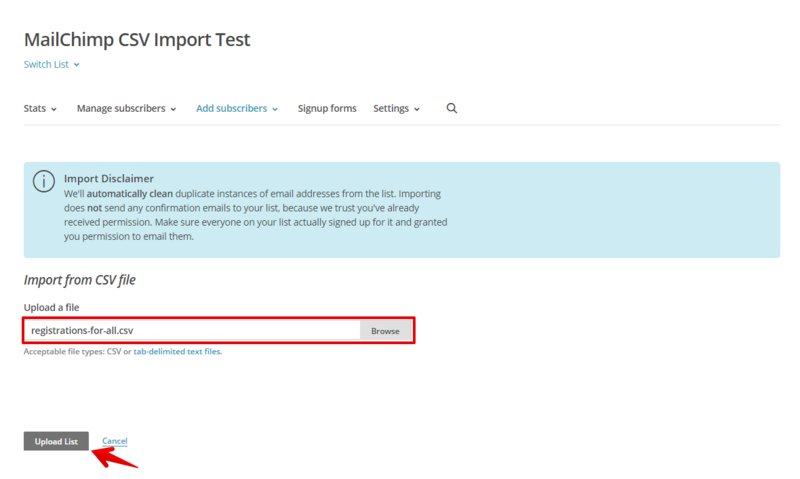 Log into MailChimp and go to ‘Lists’, then click on the list that you would like import the information to. 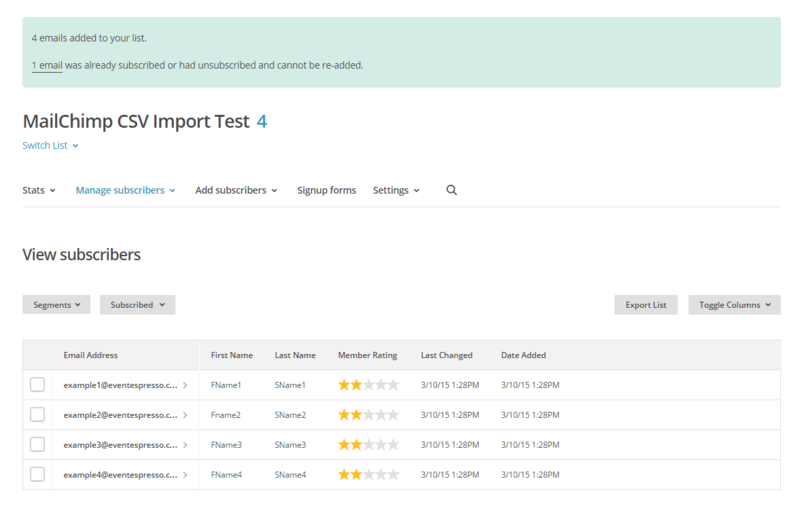 Now you will see options on which fields from the CSV are to be used for your List merge fields. After selecting the correct field, click ‘Save’ to move onto the next one, you will want to do this for each field you need to map within the List, as mentioned this will generally be at least First Name, Last Name & Email Address but may also include others. Once these fields are set, click ‘Complete Import’ to add the attendees to the list. 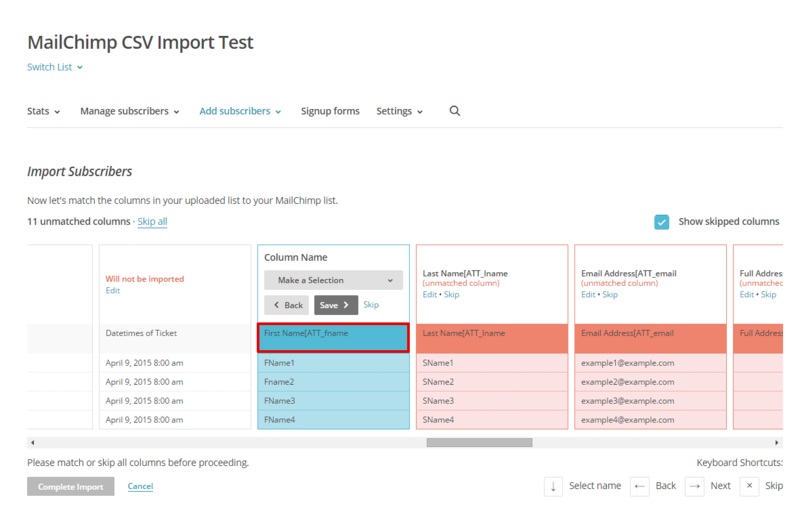 As you can see from the final image, MailChimp checks each of the records for duplicates, if they are currently within the list or if they have previously un-subscribed from your lists, they will not be re-added when uploading records manually.